Gary Johnson marked his first game in charge of Torquay United with a comfortable victory away at Hungerford. Torquay started brightly when Jamie Reid’s volley from close range was palmed away by Jokull Andresson. Jake Andrews shot straight at Andresson as the visitors continued to dominate. Alex Fragata had the ball in the net for the hosts but his dinked finish was ruled out for offside. The on loan Reading goalkeeper made another smart save from a Kyle Cameron header as the opening goal loomed large. However the visitors may have got away with a penalty decision when Marcus Johnson-Schuster surged into the penalty box and went down following pressure from a defender. The deadlock was soon broken when Torquay got their first goal of the Gary Johnson era and their first on the road this season. Keating flicked on a cross and Reid powered into the back of the net with 25 minutes gone. Soon after, Reid smacked the post with another close range volley. 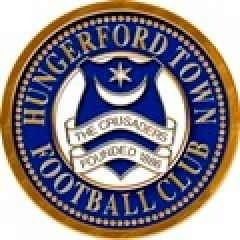 Hungerford had a golden opportunity to equalise when Conor Lynch ran in behind and chipped over Bass but the on rushing goalkeeper was relieved to see a defender behind him to clear the danger. Asa Hall headed in a deserved second goal from an Andrews corner. Darren Foxley couldn’t make the most of an Alfy Whittingham lay off following an unconvincing punch from Bass. Andresson made two superb saves from Reid and Opanin Edwards when the attackers seemed certain to add more gloss to the score line. Substitute Jason Banton smashed the crossbar late on before fellow sub Brett Williams tucked home and celebrated what seemed like the third goal before it being ruled out for offside.